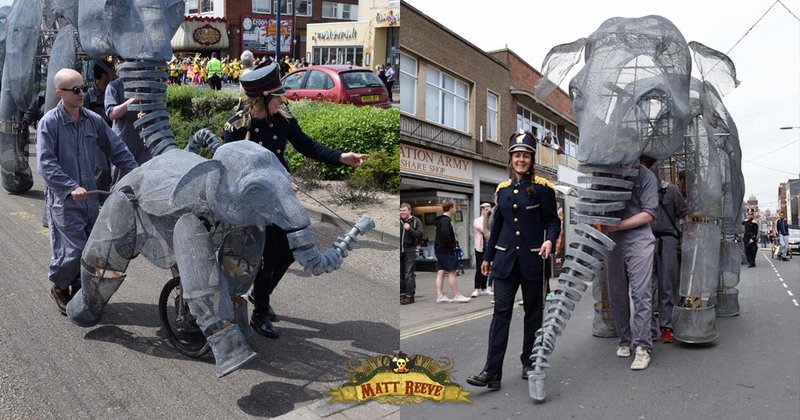 Today was the first outing for two of the adult elephant puppets and the mechanical calf I’ve been working on with Tin House for the past few months. After a long night of packing and finishing touches we set off early to Great Yarmouth with two vans full of giant crates, each containing the various parts required to assemble the lifesize puppets. Setting up near the seafront we were joined by the 10 performers who would be bringing the creatures to life, costumed in utilitarian grey boilersuits or majorette uniforms perfectly designed by Sarah Ballard. Three of these were playing the ‘keepers’ and able to operate the elephants trunks and interact with the audience. 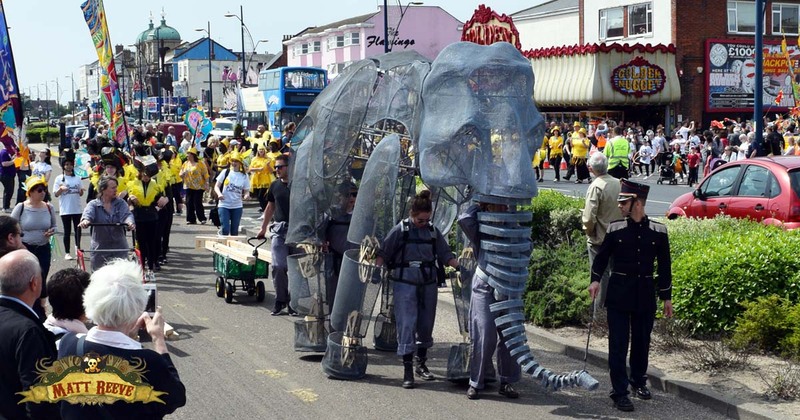 After a colourful parade along the seafront and into town, the puppets turned heads as they roamed past Yarmouth’s carnival spectators. With less than a month to go until all 5 puppets have to be completed there’s a lot more work to be done and adjustments to be made, but all things considered this was an ele-fantastic maiden voyage!